Havells unique Rapid air technology, lets you fry, bake, toast, roast, grill and reheat the food with hot air making it up to 85% less oily over traditional deep frying. Making the snack crispy, it maintains the perfect balance between taste and health. So enjoy your snack, guilt free. 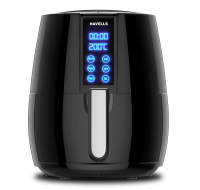 The innovative Air Filtration &stem of Havells airfryer ﬁlters out the most nauseating odours giving one an extremely clean and odourless kitchen. The Havells Airiryers comes with an integrated timer with an auto-otf and a temperature control function. 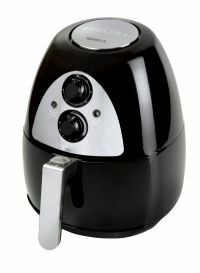 These enable one to cook food extremely quickly and ensure the best result. To Recieve updates and possible rewards for Havells Prolife Plus please sign in. To Recieve updates and possible rewards for Air Fryer and Tandoor please sign in.